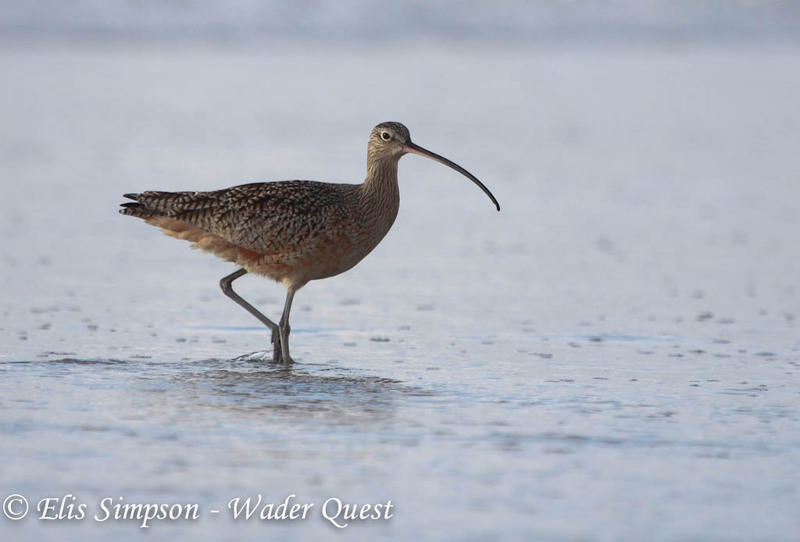 Wader Quest: Long-billed Curlew tracking project. Guest blog by Heidi Ware and Jay Carlisle. Long-billed Curlew tracking project. Guest blog by Heidi Ware and Jay Carlisle. From opposite sides of the world with two closely related species of wader we are going to be treated to some really interesting migration information as they are tracked by satellite transmitters. We have seen on the one hand the long distance migrant Little Curlews make a marathon flight from Australia to Russia and we will now find out where Long-billed Curlews in North America spend their time. I'll let Heidi Ware of the Intermountain Bird Observatory introduce the project to you. Long-billed Curlew Numenius americanus. California, USA. December 2012. The Intermountain Bird Observatory (IBO) has been studying Long-billed Curlews in Idaho, USA, since 2009. When the project began, our goal was simply to help the Idaho Department of Fish and Game monitor a population of curlews that were nesting in southwestern Idaho near the towns of Emmett and Middleton. On our first day of surveys in 2009, the crew came across a dead curlew in the middle of the road. It had been shot. This was a bad omen for discoveries to come: after studying the nesting success in this area, we soon realized that the entire population was in trouble. We found that nesting success was much lower than it had been in the past, and that the adult breeding population had declined by as much as 90% since studies in the late 1970’s. In just four years, we saw Long-billed Curlew numbers drop from around 300 to less than 200 in the study area. So in 2012 IBO began looking for ways to help the birds breeding there. Long-billed Curlew chick Numenius americanus. Photo: Liz Urban. Throughout the western US, Long-billed Curlews face a variety of threats on both breeding and wintering grounds. On their breeding grounds, Long-billed Curlews face problems from human disturbance, habitat changes, shooting, and changes in agricultural practices. On their wintering grounds, curlews may face changes in water regimes based on agriculture or drought, habitat loss, and human disturbance. We decided to use satellite transmitters to learn more about their movements in Idaho and surrounding states and determine when and where birds are facing threats. The original goal of our tracking project was to determine where Long-billed Curlews from the southwestern Idaho population spend their time during the breeding season and where they go in the winter. 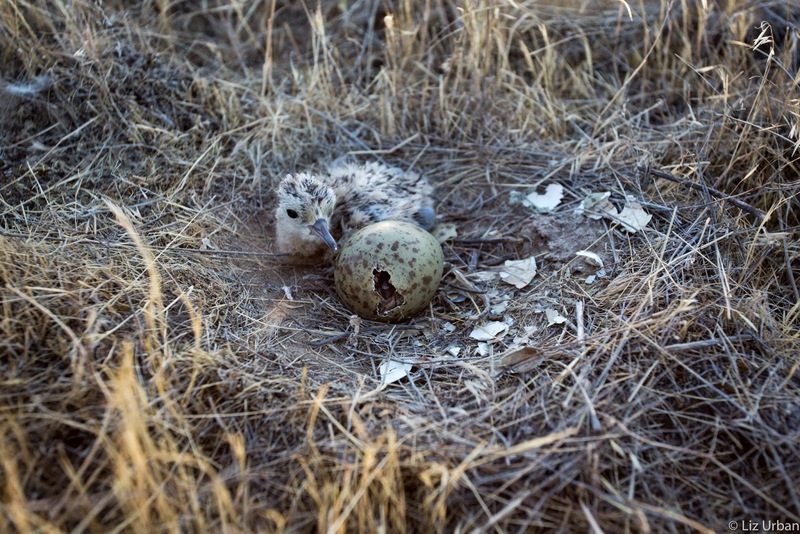 We have expanded that goal to encompass other breeding populations elsewhere in Idaho, western Montana, and Wyoming to compare nest success and satellite data in different geographical areas. Long-billed Curlew AX flying on hatch day. Photo: Liz Urban. If curlews from healthy populations winter in one area, and birds from declining populations winter in another location, this may be a sign that factors at a particular wintering location are causing their population declines. If birds from both healthy and declining breeding populations intermingle on their wintering grounds, this is more likely a sign that threats on the breeding grounds are causing decreases in the number of adults. Thanks to numerous partners and donations from our supporters, we placed 4 PTT transmitters in 2013, added 11 transmitters in 2014, and in 2015 we plan to deploy 19 more transmitters across the intermountain west of the United States in seven different breeding populations. 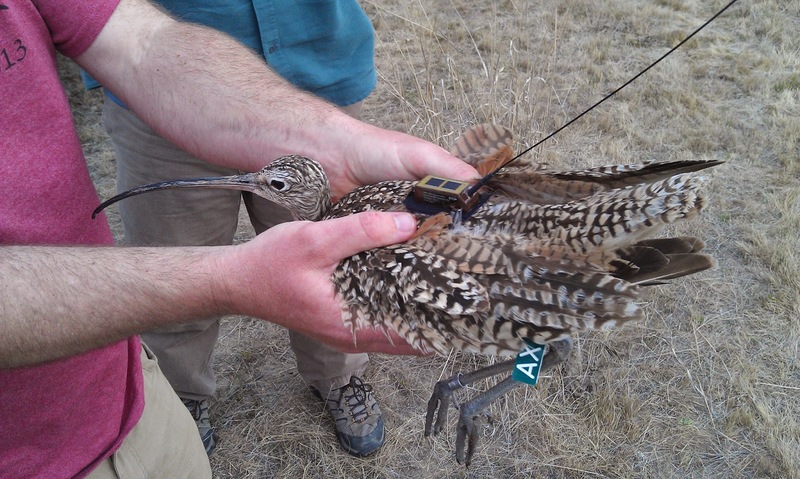 By studying populations from areas where no previous transmitter work has been done, we will be able to fill in a ‘gap’ between previous studies of Long-billed Curlews in locations such as eastern Montana, northern Oregon, and northeastern Nevada. Long-billed Curlew AX with its satellite fitted. Photo: Heidi Ware. 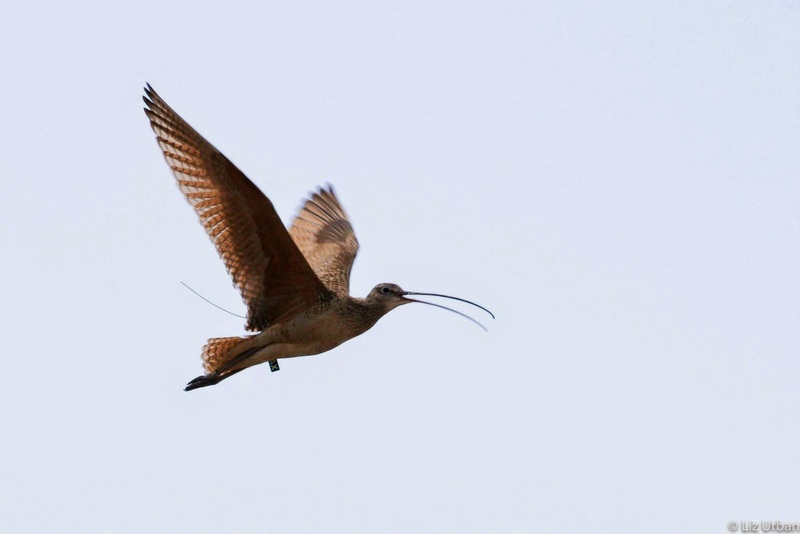 Follow along with us as we track our flock of curlews! Along with attaching 19 transmitters this season, IBO’s graduate student Stephanie Coates will be studying the reproductive success of curlews at six breeding locations across the three states to determine what differences exist between these populations during the breeding season. In particular, she’ll be examining how differences in habitat type, predator communities, and human disturbance affect nesting success.